It is taken for granted that in the majority of hotels you visit, you will find art hanging in the halls and in the bedrooms as a form of decoration. Art is commonly used to add colour, personality, or simply take away from a bare appearance. 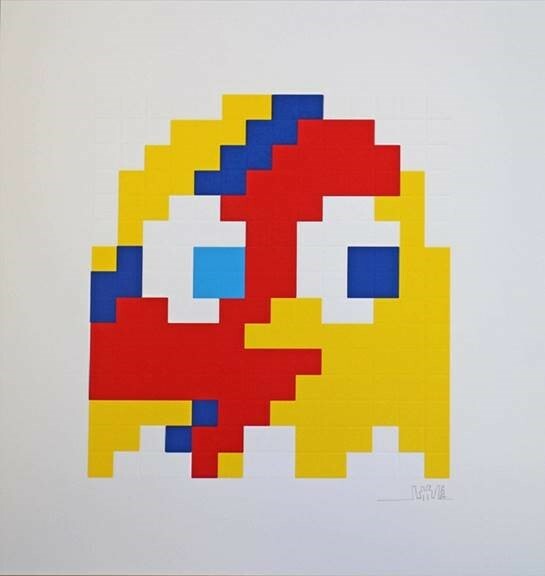 However, there is a new trend taking over the hospitality industry that sees more focus being placed on hotel art. 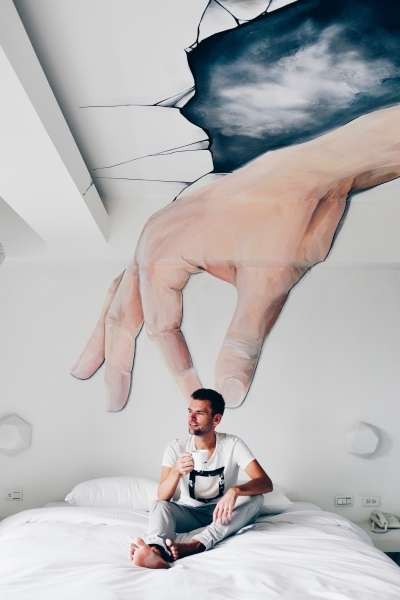 Hotels are starting to place art investment at the forefront of their main activities, using art to differentiate themselves in an overcrowded industry. Some hotels are even hiring curators, using their hotels as galleries to add to the experience for their guests. Art is no longer just decoration; it is a means of adding value, evoking thought, spurring conversation, building cultural ties, and strengthening guest loyalty through emotional connection. Nowadays, it is becoming increasingly difficult for Art Hotels to differentiate from competition, especially in crowded industries. The hospitality sector in particular experiences fast-paced growth each year, yet is disrupted by services and digital platforms that inhibit differentiation and ultimately creates new competition for Hotels. The vast majority of platforms compare Hotels by price, location, amenities etc. yet many guests look for exclusivity and a unique place to spend their time. Who is really attracted by standardised Hotels anyway? Many Hotels forget they have assets that constitute as a unique opportunity for them to differentiate themselves and set themselves apart from the crowd – their Art Collection. If we consider that only 10% of Hotels in the world have an Art Collection, it represents at least 50,000 places where Art is exhibited for the public and guests. Art is a truly powerful asset, and can be used to attract guests, whether that is for business or pleasure. Describing itself as a “window into the art world,” the Sagamore hosts rotating art galleries throughout its property with the aim of “inspiring creativity.” Guests at the Sagamore have the opportunity to immerse themselves in artistic culture throughout their stay, appreciating the various artists that are featured within the hotel. As well as this, the Sagamore is not only dedicated to art in one form, but fosters art in its core values as a whole, appreciating culinary art, art in a musical form, design, creation, and fashion. They also host artistic events and play a huge part in Miami art week. The Hotel Lungarno is presented as the private residence of an established art collector, housing over 400 pieces of the finest art of the 900’s. With the core belief that a passion for art unites the world, The Lungarno Collection aims to mix luxury with creativity throughout its premium hotels in Florence and Rome. You will find unique artworks from renowned Italian and international artists that fit in beautifully with the carefully designed interiors. Also based in Italy, this Neapolitan hotel goes over and above to ensure a unique artistic experience for its guests. Edging away from paintings hanging from the walls, the Romeo Hotel presents art installations alongside fabulous artistic design woven throughout the building. The focus of the Romeo Hotel is to blend precious antiques, contemporary architecture, and art installations, showcasing the pure talent of Neapolitan artists. An art lover on an escape to the English countryside should look no further than the Broomhill Art Hotel. 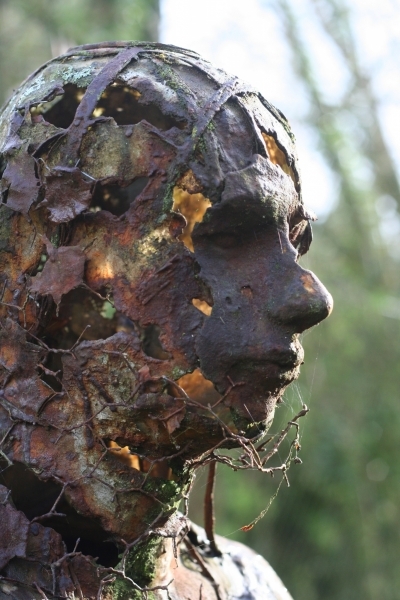 Nestled in a green woodland valley, you’ll find one of the South West’s largest collections of contemporary sculptures dotted around the green landscape. The hotel itself is late Victorian style, which contrasts beautifully with the sculptures. Roaming around the forest gardens, you’ll be taken aback by the surprises hidden around every corner evoking emotion, thought, pleasure, and pure appreciation for art. Built into the business from conception, A for Art Hotel is a prime example of a Design Hotel dedicated to art. It has teamed up with renowned European Design Company KARE Design to create the ultimate artistic experience for a handful of lucky guests. 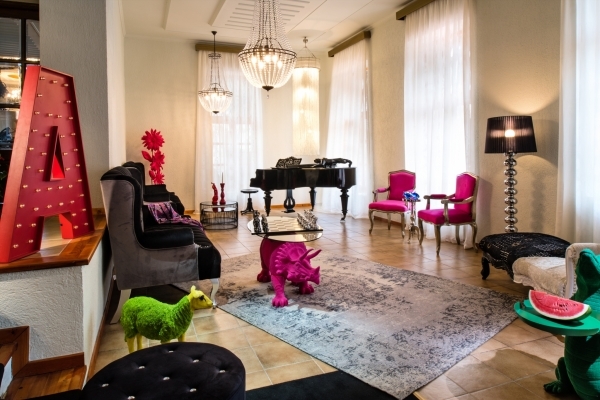 This hotel focuses on art and design that is authentic, unique, and non-conformist. The goal is to create a ‘wow’ effect throughout the building in both the rooms and the open spaces. The rooms are decorated in 13 different designs and furnished with unexpected but impressive furniture and accessories. Each of these hotels have seen the value of communicating their art on an additional channel in order to express and share their artistic commitment. This is why the above hotels are among the 50+ hotels currently presenting photos of their art collections on Uart.com. They have ensured that their art collection is hosted on a dedicated Art website so that it is visible, image-enhancing, and most importantly, shared. If your hotel has an art collection that you believe should be shown on Uart, get in touch with our team today. Never under estimate the power of your Art Collection because it can really impact the perception of your Hotel for guests. Even if you organise events, sales, meetings with artists and exhibitions, you can promote your keen interest for Art online by showcasing your Art Collection, sharing it with your guests and shareholders, and publishing it on your social media for more visibility and to promote your favourite artists. On Uart, we have created a category dedicated to Art Hotels who are looking to offer exclusivity to their guests. Each Hotel benefits from a dedicated page for its digital Art portfolio and has the opportunity to share their profile link directly to their network, using a simple URL link. This portfolio is linked to the Hotel’s website along with their social links, so that any art-lovers can discover more and make a reservation, if they wish, directly on your Hotel’s site. 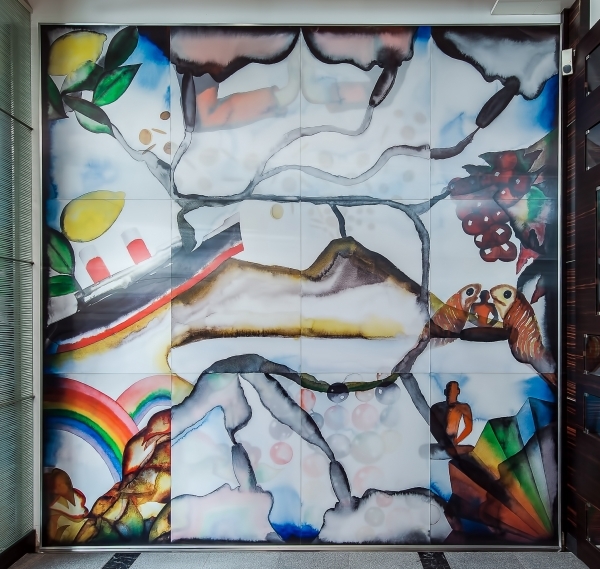 Hotels have the opportunity to communicate with their guests during and after their stay by using its Art Collection – it is a great way to create relations through a common passion. Art is really transforming the commercial and marketing approach. 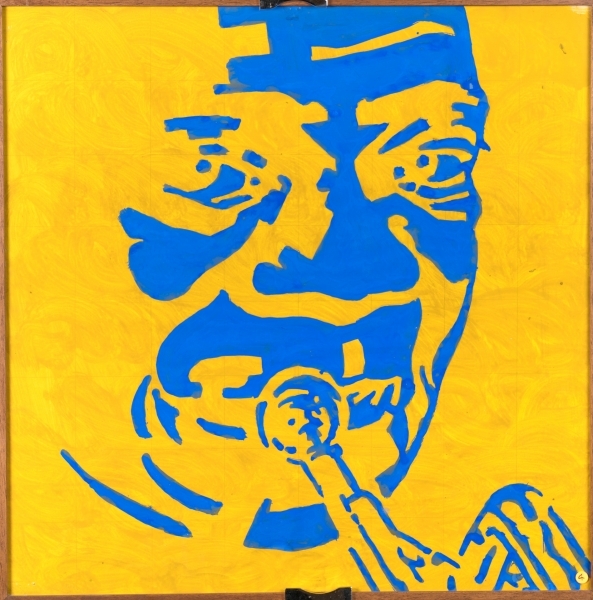 Get ahead of the crowd and leverage your Art Collection on Uart!